The Dutch have sure had some bright ideas lately. Design company Booo, located in Eindhoven, The Netherlands, has set out to create sustainable, all-in-one light bulb / lampshades. They have challenged the classic design of the light bulb and work with distinguished designers such as Nacho Carbonell. Carbonell’s main criterion for the re-design of the essential yet simple LED light bulb is based on one major flaw: it’s made of glass. Light bulbs in general can sustain very little physical trauma without breaking. 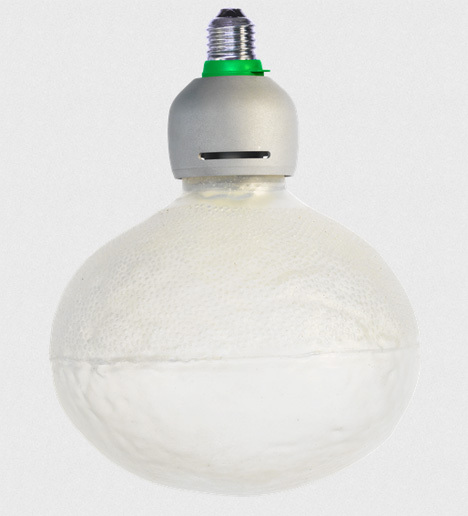 Throw shipping in the mix and the bulbs are more vulnerable than a bare light diode. 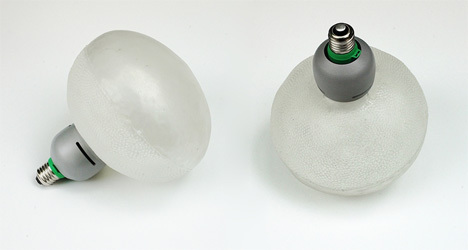 In accordance with Booo Labs, Carbonell created a bulb and lampshade hybrid by surrounding the bulb with a soft plastic dome. Practical and user-friendly, the lampshade can be squeezed and molded. It offers soft diffusion of the LED’s glow. He also created a ladder-like tail that connects to the lampshade and can be used for further décor. They would make perfect additions to art galleries, live music shows or your living room. See more in Industrial Design or under Technology. May, 2013.